Ohio Wesleyan University announced Thursday the appointment of Natalie Milburn Doan, J.D., as vice president for University Advancement, overseeing the university’s alumni relations, development, and career services teams. A 2003 OWU graduate, Doan has been serving as the interim vice president since June. Doan joined Ohio Wesleyan in October 2012 as a development officer for planned giving and became director of donor relations in October 2014. Her accomplishments in these roles include designing a comprehensive donor engagement program to better communicate and celebrate philanthropy; implementing best practices for documenting gifts and aligning them with strategic priorities; and cultivating relationships with alumni to develop individualized philanthropic plans, including planned giving, to support OWU’s mission and priorities. Since becoming interim vice president in June, Doan already has completed an analysis of Connect Today, Create Tomorrow fundraising to date and led the University Advancement team through strategic planning exercises to establish fiscal-year 2019 priorities. She also has redesigned the office to enable the hiring of a designated, full-time athletics fundraiser to support OWU’s 25 NCAA Division III varsity sports. 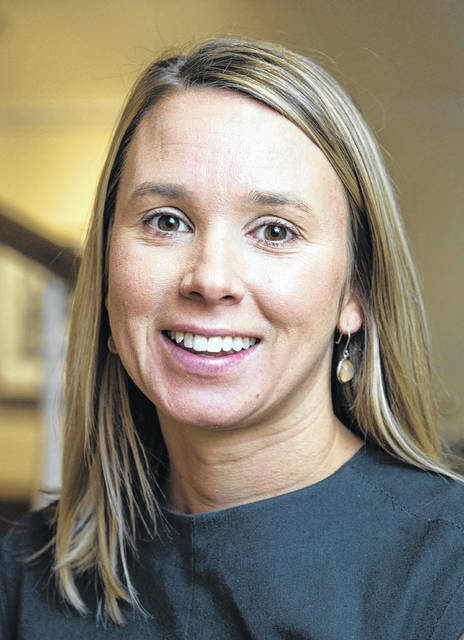 “We’re very fortunate to have Natalie as our new vice president for University Advancement,” said 1970 OWU alumnus Kevin J. McGinty, a member of both the vice presidential search committee and OWU Board of Trustees. “She will provide a dynamic, insightful, and strategic focus to the position. I am thrilled she has accepted the role. “Natalie has already shown us that she will hit the ground running as we move forward with the Connect Today, Create Tomorrow campaign,” said McGinty, a co-chair of the fundraising campaign. “We’re pleased to have received pledges of more than $164.6 million to date, putting us a year ahead of schedule for the seven-year comprehensive campaign. Professor Alice Simon, Ph.D., also a member of the vice presidential search committee, said Doan made it easy for the group to decide who best would represent Ohio Wesleyan and help the university to advance. Prior to joining Ohio Wesleyan, Doan worked for the Ohio Department of Commerce, serving as chief division counsel for its Division of Real Estate and Professional Licensing. Previously, she worked as a staff attorney and legal intern for The Legal Aid Society of Columbus. She holds a Bachelor of Arts degree in politics and government and psychology from Ohio Wesleyan and a Juris Doctor degree from Capital University Law School. Doan has been a licensed Ohio attorney since 2006.